Yesterday's trade of Cliff Lee confirmed what a majority of Philadelphia Phillies and their fans suspected to be true all along— last winter's deal was a terrible blunder. On one hand, the team might take solace in the fact that Lee was shipped to the Texas Rangers rather than their divisional arch rivals, other National League contenders, or the World Champion New York Yankees— in that order. On the other hand, Ruben Amaro and the entire Phillies organization have to be consumed with the sinking feeling of what could have been. The first lament is that Lee could have helped form the best starting rotation in baseball— one capable of carrying an injury riddled club through a challenging 2010 season. Perhaps they might not be in first place at this juncture, but they would be considerably better positioned for a fourth consecutive NL East title. The second lament is that today's deal offered proof positive that the Phillies essentially gave away one of baseball's best pitchers when his stock was probably at an all-time high. Lee has widely been considered the crown jewel of this year's annual mid-summer swap meet. Several teams had been rumored interested to highly covetous of the Cy Young lefty for a simple reason. Lee could instantly take them to the next level, whether it be legitimate playoff contender or World Series favorite. The Rangers deal validated his worth, as did the "imminent" trade to the New York Yankees that fell through earlier in the day. Both clubs offered a top 15 prospect (as rated by Baseball America and many other scouting pundits) along with other talent in exchange for the all-star hurler. The Yankees were willing to part with baseball's top catching prospect, and pre-season fourth rated prospect overall, Jesus Montero as the headliner with two other players. Speculation was that an injury to one of the prospects caused the Mariners to back away from the deal. Instead, Seattle opted for switch-hitting first baseman Justin Smoak from the Rangers (the 13th rated prospect heading into the season) along with Blake Beavan and two other players. Smoak was the team's top draft pick in 2008, and Beavan was the first rounder a year earlier. In contrast, the Phillies received the 93rd rated prospect according to Baseball America heading into both this season and last season— along with Tyson Gillies and JC Ramirez. 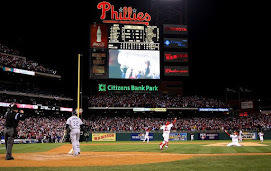 Amaro spun the trade of Lee as a necessity to replenish the farm system that had been severely depleted in the trade to land the pitcher the previous July and the deal to obtain Roy Halladay. Finances were also cited as big contracts to Joe Blanton, Jamie Moyer, Raul Ibanez, and arbitration pressures helped push the team's payroll towards $140 million. Those debates aside, the Mariners-Rangers deal highlights how badly the Phillies missed the mark in extracting value in return for the toast of last year's postseason. Just weeks removed from the Yankees World Series triumph over the Phillies, all of baseball was still abuzz about Lee's fabulous performances. Lee had used the game's biggest stage, along with a fabulous 22-3 Cy Young campaign the previous season, to cement his place as one of baseball's very best pitchers. With free agency pending after the 2011 season, pundits anticipated a mega-deal on the horizon. Somehow, though, Amaro and the Phillies parted with the highly impressive hurler for considerably less than what the Mariners were able to get a half year later. And, it stands to reason that Lee's value would have only decreased between then and now as he has half the shelf life. Philadelpia accepted the 93rd ranked prospect versus the 13th ranked prospect that Seattle received— after turning down the 4th ranked prospect. To put this into a Phillies fan's perspective, that is roughly the equivalent of accepting Lou Marson or Jason Donald in lieu of Dominic Brown. Considering that the Rangers also included another highly touted No. 1 selection, it becomes even more lopsided. The cumulative value of the other players involved in each deal can be debated, but the disparity in headliners is dramatic. As further evidence of the Phillies blunder in trading Lee, one needs to look no further than the Halladay deal itself. In order to obtain the big right-hander, the team shipped out the 25th, 29th, and 81st rated prospects. Although many might argue that Halladay had the superior resume to Lee and is a notch above, most would agree that the separation between the two is very slight. It does not take a math wiz to figure out that the Phillies paid dramatically more for Halladay than they accepted for Lee— and that the differential is tremendously greater than that between the two all-star pitchers. Surely, signability of each player factored into the equation and clouded the comparison, but the latest deal now gives us additional backdrop to assess the move that shocked the Phillies fanbase last winter. The purpose here is not to pile on, but rather provide some additional objective analysis of a trade that was widely panned at the time and could go down as one of the worst in team history. Amaro rightfully received ample praise for his 2009 seasonal body of work that helped the team make a second straight World Series appearance. Specifically, his refusal to give away his prized prospects for Halladay and instead acquire Lee with second tier players was the type of genius that earns you " MLB Executive of the Year." Regrettably, he followed that up with the tandem ace swaps shortly after the season-ending defeat to the Yankees that seemingly reversed that genius and has weakened the team's chance's for this season and beyond. Amaro's rationale in acquiring Halladay can be understood as he was willing to sign a long-term contract. Making it an either/or situation with Lee is much harder to understand. But, if is was absolutely necessary to part with him, it seems abundantly clear that the rushed, lightly negotiated manor in which it was done yielded far less than true market value. It seemed that few teams even knew that the Phillies might be willing to trade their ace. Of course, the actual performances of the three players acquired by the Phillies last December has done nothing to dissuade this notion. Since being demoted to Single-A, Aumont has improved his record to 2-6 with a 6.53 ERA. Gillies is hitting .238 in Double-A. And, Ramirez is a so-so 6-4 with a 4.22 ERA between Single-A and Double-A. Perhaps RAJ will pull off another brilliant move that will propel the current teetering club to a successful year? Or, perhaps he will figure out a way to clear payroll, resign Lee in free agency, and/or maneuver the team back to another championship in the near future? 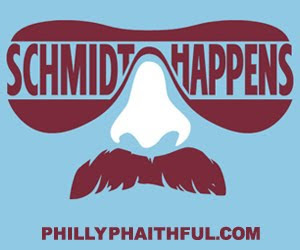 But, in the meantime, the Philadelphia faithful are left with a sick feeling that another triumphant trip down Broad Street may have been foolishly given away. And, hearing about yesterday's trade was like eating some spoiled sushi on top of an already upset stomach. The Phillies have done many, many things right over the past several years— and in many ways have been the model organization. Unfortunately, last December's trade of Cliff Lee was one very big blunder.